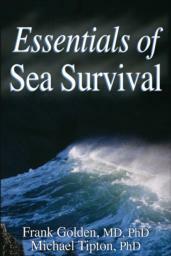 Essentials of Sea Survival is a compelling, informative, and comprehensive guide to open-water survival. Drawing from classic maritime disasters and personal accounts of near-miraculous survival, as well as carefully controlled laboratory experiments, it offers practical advice for avoiding as well as surviving a cold-water accident. It’s an important reference for anyone associated with open-air aquatic activities, such as members of the Coast Guard, Navy, and Marines; offshore oil rig employees; fishermen; divers; amateur and professional sailors; water safety instructors and life guards; water rescue personnel; boaters; water skiers; outdoor survival course instructors; and other recreational water sports enthusiasts.